It’s been a brutally cold, occasionally wet, often frozen winter here in my next of the woods, though a far cry from the polar vortexed permanently deep snow-covered winter of last year. It’s made for a great winter for reading…and my chapped hands found their way to three novels cold as ice, though only one, The Kept, haunts the imagination. Things started out with a banal, arduous thud that was the literary equivalent of traipsing 100 miles uphill in three feet of snow to the top of a mountain with a horrible view. 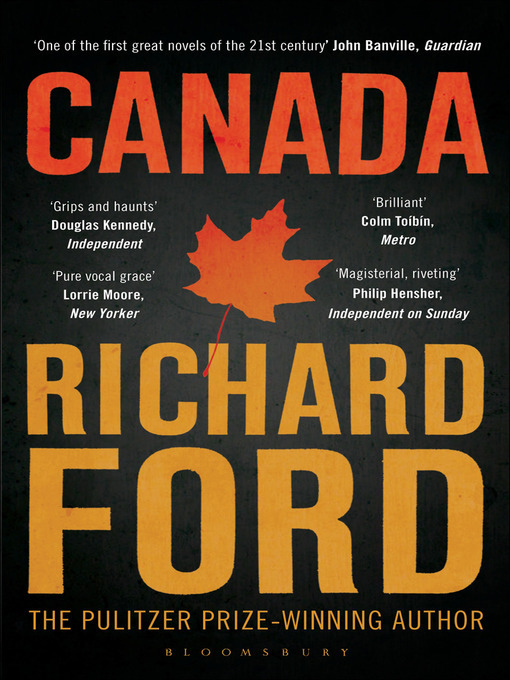 Richard Ford’s Canada is a long drawn out affair (it’s not until about 300 pages through the 500+ page tome that we actually get to Canada) that tells you exactly what happened in the very first sentence and then proceeds to elaborate on it ad nauseam in repetitive memoir style. Twin brother and sister, Dell and Bern, at age 15, are thrown into a maelstrom after their previously thought to be stable and clear-headed parents rob a bank in a pathetic act of desperation. Bern runs away, while Dell (our narrator) is shuffled off to the middle of nowhere Canada where he meets some unsavory characters and witnesses a murder. Getting to the bank robbery was painful and lacked even a modicum of suspense, and I don’t know how many times the narrator had to remind us of his naivety (while Bern was more wild and worldly) as he goes from one horribly boring existence to the next shaped by brief criminal acts and the occasional weirdo. I’ve never met more boring characters or read about more bloodless crimes. A reprieve of sorts came up next, albeit one that left a bad taste in the mouth. 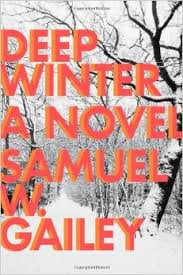 Samuel W. Gailey’s debut novel, Deep Winter*, is a fast-paced character-driven thriller detailing the cover-up of a waitress’ murder as it goes horribly awry in rural Pennsylvania. It’s a shame all of the characters driving Deep Winter are stock characters – the big bully who grows up to be a crooked cop, the loose waitress with the heart of gold, the gentle feeble-minded giant falsely accused, the grizzled old sheriff with a cat obsessed barren wife – all of whom frequently check themselves out in mirrors so Gailey can give us the details of their physical appearance (a clichéd crime every writer, even me, is guilty of sometimes). The list of stock characters could go on and on, but thankfully the novel – simple and mostly quick-footed, does not. It’s the literary equivalent of a mediocre but still passably entertaining basic cable crime drama. You might have killed a few hours, but you’ll feel a bit guilty after finishing it. Not a great read, but not a bad one either, if you like this type of thing. But the third shot ended up doing the trick. 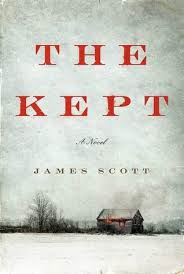 James Scott’s fire-and-ice debut, The Kept, is an old-fashioned ripping good yarn, both mean-spirited and romantic in an American gothic sense, full of poetic brutality. It didn’t surprise me when I learned that one clever blog offered up a Beer and Bourbon pairing for each of the novel’s rip-snorting chapters, as the old romantic in me imagined sitting by a fire with whiskey in hand as I tore through Scott’s bloodied pages. The Kept is filled with plot twists and deep dark secrets, so I’ll keep my synopsis brief and to the early goings-on. In 1897 in Upstate New York (a period piece in one of my favorite settings! ), traveling midwife Elspeth comes home to her farm to find her family murdered, spare for her 12-year-old son, Caleb, who hid in the barn while the killers did their deeds. Fueled by hellfire and revenge, the kid (both scrappy and frail) and the mother (hardened by grief and past transgressions) make their way through blizzards to a sinful town on the edge of Lake Eerie where they are convinced they will find the murderers and bring them to vigilante justice. At times the novel feels like it would’ve made a splendid silent-film adaptation as talk of hidden identities, ice harvesting, baby-knapping and heartless trackers made me feel like at any moment we would have a scene of a baby-burdened woman (played by Lillian Gish) hopping ice flows down a river while men with rifles tracked them from the shore…not unlike the classic chase scene from D.W. Griffith’s 1920 melodramatic masterpiece Way Down East. That specific scene never occurs, but there is a harrowing trek across an unfinished rail road bridge covered in ice and towering over a frozen river that will send shivers down your spine. But the novel is also filled with larger than life side-characters (some with seemingly modern and timely problems) and enough back-stories that you could imagine it rambling and expanding outward beyond Scott’s fevered pages forever into a multi-season HBO series, fitting comfortably with the likes of Deadwood and Game of Thrones. Hell, depending on how you interpret it, the haunting final pages might not be a surrender but instead a cliffhanger. Wait until next season! While Canada and Deep Winter quickly flee from one’s mind like fools on the run, The Kept is a barn-burner that you hold close to remember the heat on the coldest of nights. * Deep Winter came to me in free downloadable advance-reader form from the wonderful likes of NetGalley – a great site for people who recommend books. This entry was posted in Book Reviews, Books and tagged American Gothic, Canada, Debut Novels, Deep Winter, Fiction, Fictional Memoirs, James Scott, Pennsylvania, Reading, Revenge Tales, Richard Ford, Samuel W. Gailey, The Kept, Thrillers, Upstate New York, Winter.